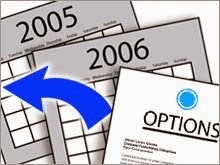 Backdating an insurance policy is legal in the insurance industry. Therefore, the insurance plans launched by any insurance company in the last 1-2 Months can be bought with any date in the financial year starting from 1 April 2014. · Backdating is possible only on endowment and money back policies. · When backdating a policy, the premium will have to be paid for the backdated period together with interest charges. · A policy can be backdated to let its maturity coincide with any special day, such as birthday or wedding anniversary. · The policy matures earlier than it normally would. In endowment policies, this could be an advantage as survival benefits accrue earlier. Amit applies for coverage on September 1. His birthday is September 15 and the insurance policy is approved and issued on September 30. If the policy is backdated to September 14 (the day before the applicant's birthday), he or she can take advantage of lower rates. When shopping around for life insurance coverage, a consumer should ask whether a company offers backdated life insurance premiums to its policyholders. The savings in premiums over the life of the policy need to be calculated before deciding to buy a policy with premiums calculated in this manner.